Hello and welcome to day 25! I’m chugging away with 5 more days left for this challenge. Today I selected a digi from Mo’s Digital Pencil. Her name is Sadie so I call her ‘Sadie the Garden Lady’! It has a nice ring to it don’t you think? 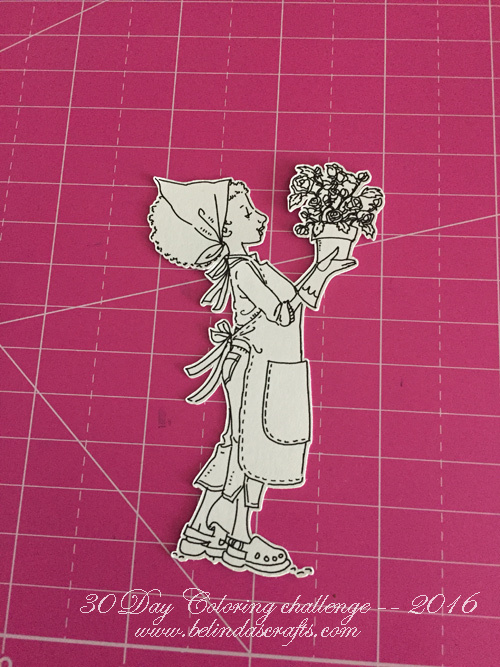 I sized her to work on my card base and had my Silhouette do all the work and cut her out for me. Skin and hair were colored first and then her clothes came next. I have been loving this shade of purple lately so I hope I don’t bore you by choosing it again. 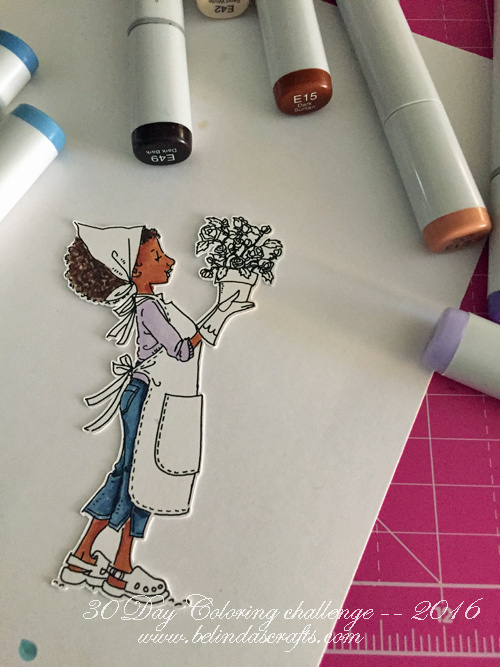 I finished coloring her but wasn’t able to get to creating a card for her. It’s dinner time in my house so I will have to save that step for tomorrow. So do come back and check her out. 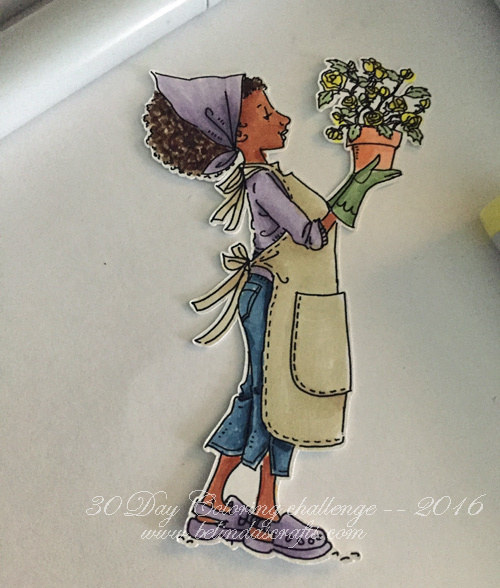 My friend Ashley might be putting the clues together from yesterday’s floral card and today’s garden lady, that I am itching for spring to arrive so I can start poking around my garden. She’s my gardening buddy. Well let’s all do the happy dance because today is leftovers so I only have to push the microwave button tonight..yahoo!!! Have a blessed night and I will be back tomorrow. My seed catalogs are arriving daily and I just might try some seeds this year…maybe!